Nero 5kw EUROPEAN BUILT stove from the exciting new ZONA range. One of the Nero’s main features is its large schott glass viewing window. When the fire is burning it looks fantastic whether the stove is free-standing or in a fireplace. Its airtight seals make the stove controls incredibly responsive. 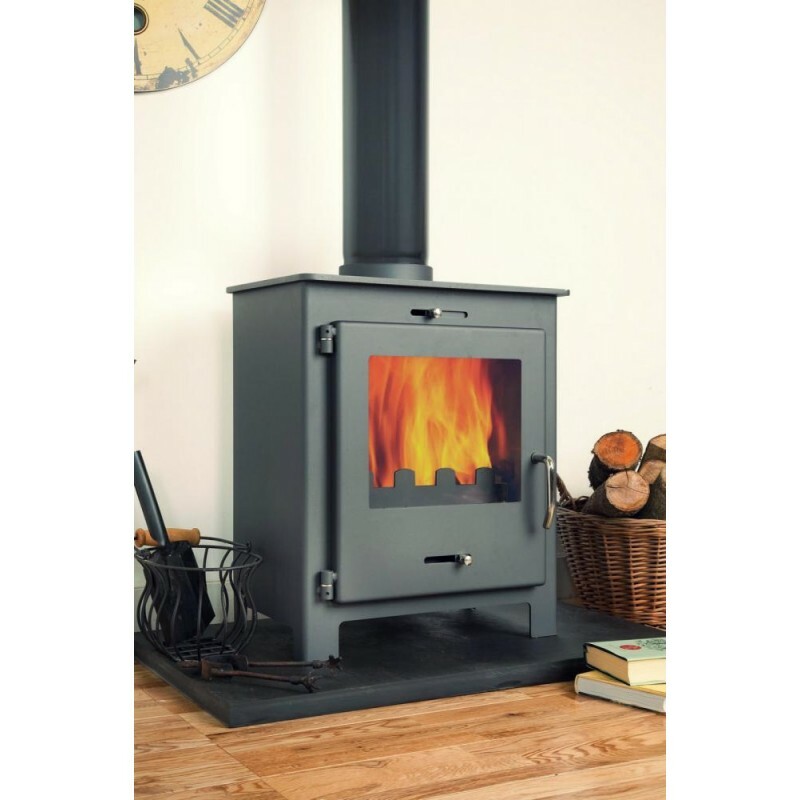 An overnight burn can easily be achieved when burning seasoned wood or smokeless coal.You will not be disappointed with the care and attention to detail this stove has received. We are so confident of this, we offer a 100% no questions asked returns policy. Just send it back and you will receive a full refund for the stove, excluding shipping fees. 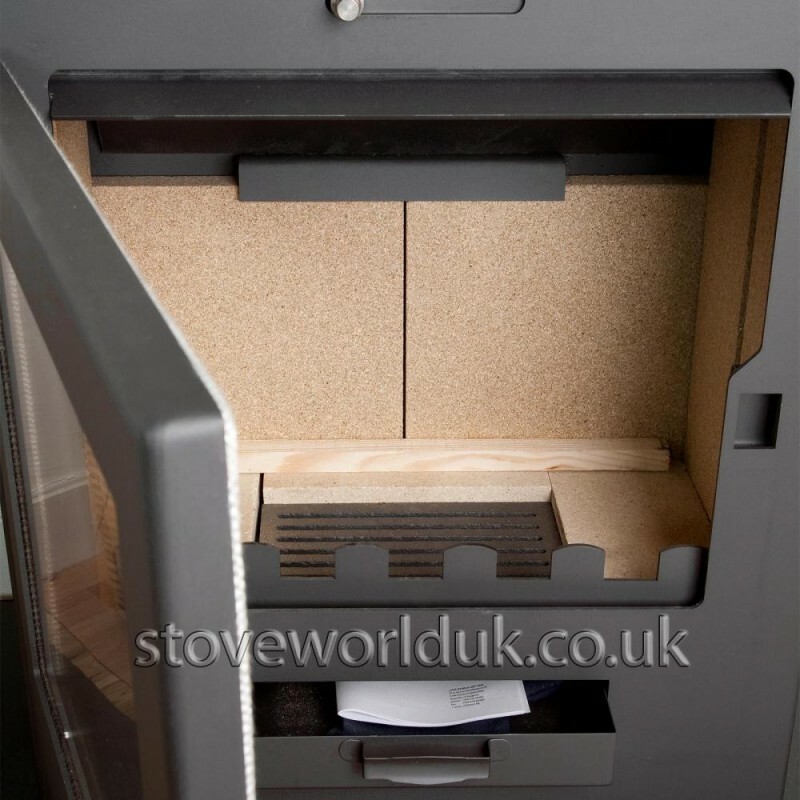 This stove has some unique features that are testament to the stoves well thought out design and quality finish. 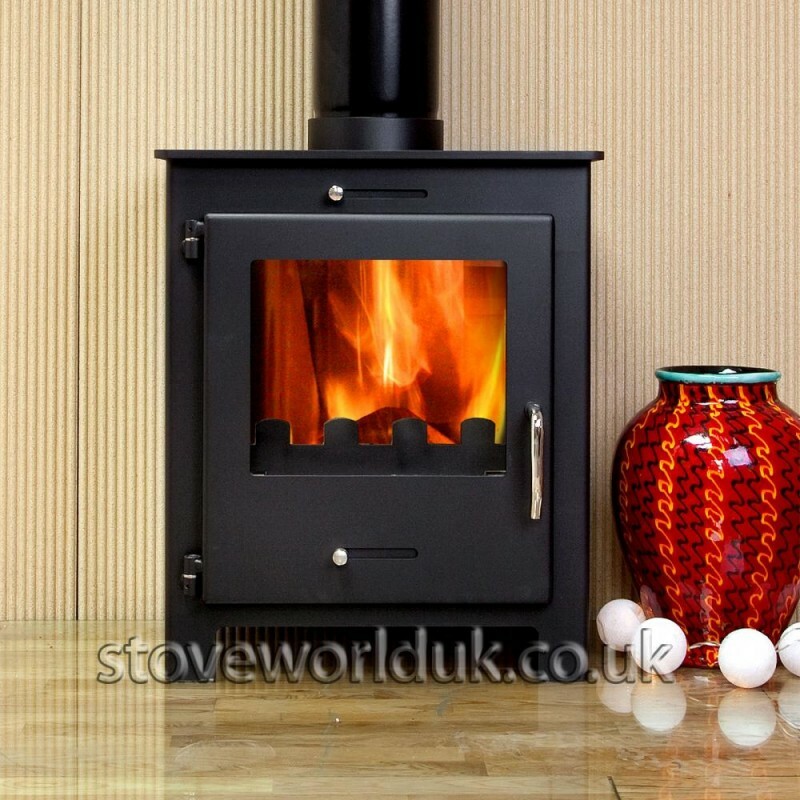 This 5kw stove easily has the capacity to cook on it large 10mm thick steel top. Two large saucepans will fit on there. Built to high German DIN standards, this stove has been in our range since 2011 and continues to exceed our customer's expectations. In our opinion the Nero range is the best value group of the stoves sold in the UK! 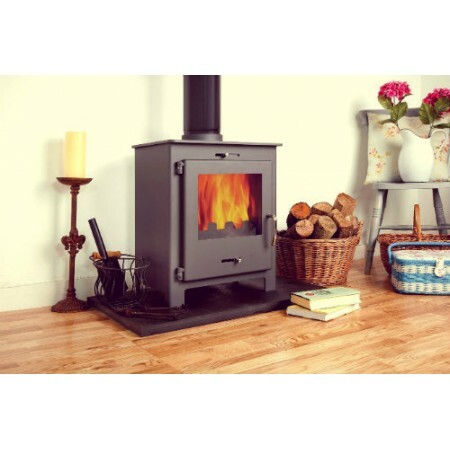 This is based on feedback received from hundreds of customers, all delighted with the stove's impressive features. The Nero 5 has an excellent overnight burn system. Its air tight door gaskets and manually controlled air flow controls allow you to close the stove right down overnight and wake up to a warm house in the morning. All you will need to do is reopen the air controls, add a little coal or wood and watch the fire roar again. Body - 10mm thick steel top and 5mm thick steel plate sides. The extra thick steel will prolong the stoves life. Grate Multi fuel grate include for the occasional burning of coal. 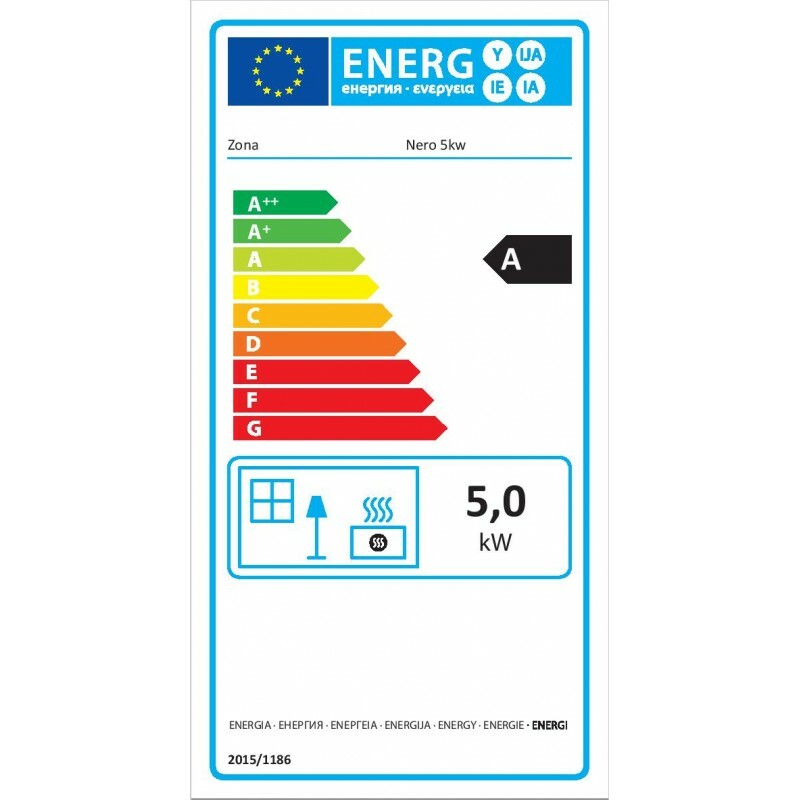 Please note that this is the price for delivery of Nero 5 GREY Contemporary Woodburning Stove 5kw only. The final amount might change depending on the contents of your shopping bag when you check out.